Be YOUtiful – A nice box for a get well or thinking of you gift. Island Getaway – Love this one, great for a house warming! ATL – Lovely gift for mother’s day! Traveling Man – This one is great for someone going away, maybe a going away gift, or for the man in your life! Kitchen Essentials – Love this one, great birthday gift or house warming! In this photo we have the Moscow Mule box that I saw online and requested – full of everything you need (besides the booze – but that’s an option!) 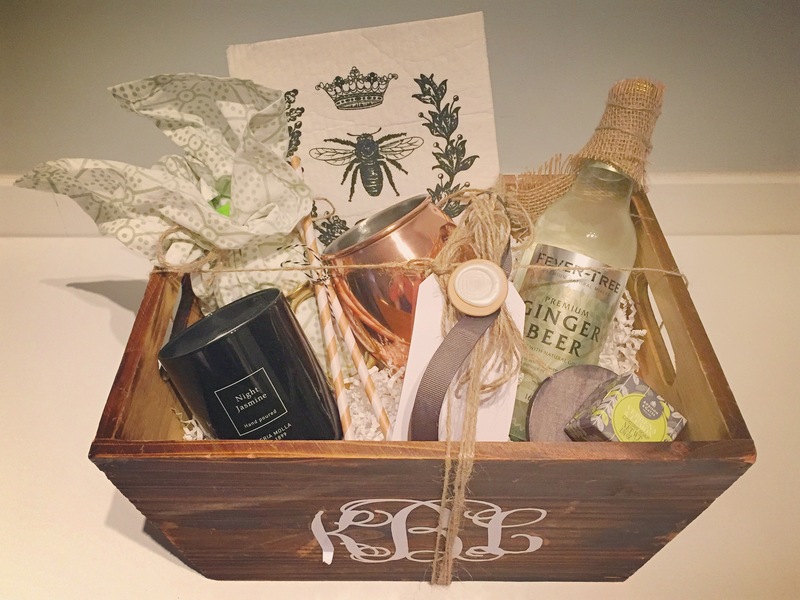 including the lime juice, ginger beer, copper mug, fancy straws and a few added goodies like soap and candle.